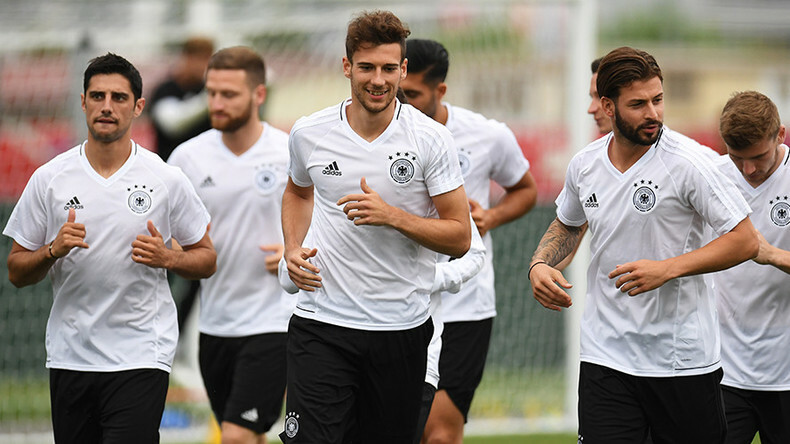 World Cup holders Germany face Copa America winners Chile in Kazan on Thursday night in one of the most eagerly anticipated matches of the FIFA 2017 Confederations Cup in Russia. 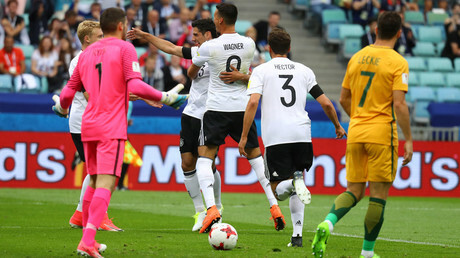 The Group B rivals know that a win for either will guarantee a spot in the semifinals as both teams won their opening group stage matches, Germany defeating Australia and Chile getting the better of Cameroon. However, both sides will be expecting a tougher game when they meet at Kazan Arena, which will see a clash between youth and experience. Germany manager Joachim Low’s squad have the youngest average age at the ‘Tournament of Champions’ - just 24 years and four months - while Chile have the oldest squad ever seen at a Confederations Cup, with an average age of 29 years and one month. Low’s exciting young team relished their first experience of big tournament football in their opening game against Australia in Sochi, winning 3-2. While their victory was hard-fought, it was fully deserved. Leon Goretzka shone in midfield and was instrumental all three ‘Die Mannschaft’ goals. The Schalke youngster was involved in the build-up to the opener, won the penalty for Julian Draxler to score the the second and then scored the third himself – his first for Germany. Joshua Kimmich – considered the heir to German legend Philipp Lahm - was industrious at right-back and captain Julian Draxler, at 23 already a veteran in the German set-up, posed his usual threat going forward. Perhaps the only question facing Low heading into the game against the South Americans is the goalkeeping spot, with question marks over Bernd Leno’s shaky performance against the ‘Socceroos’ from Australia. If need be, Low will be able to call on capable replacements in Barcelona’s Marc-Andre ter Stegen and Paris Saint-Germain No.1 Kevin Trapp. Low will know, however, that Chile pose an altogether different prospect to Australia, and possess a formidable mix of tenacity and creativity throughout the team. Midfield general Arturo Vidal was imperious against Cameroon, scoring Chile’s first with a towering header, and while electric winger Alexis Sanchez has struggled with injury, it was his introduction that inspired Chile to victory against the African champions. Eduardo Vargas will also pose a huge threat for Germany. The former Valencia attacker was unlucky not to twice be on the scoresheet against Cameroon. He saw one goal disallowed for a contentious offside before scoring La Roja’s 2nd in injury time at the end of 90 minutes. Low is expected to revert to a back four in defence on Thursday night in an attempt to counter the Chile frontline as well as their roaming full-backs Mauricio Isla and Jean Beausejour. Germany have won all of the three competitive meetings between the teams, and won their last friendly encounter in Stuttgart in 2014, when they prevailed 1-0 thanks to a Mario Gotze goal.